Practically every driver will need to call a towing service at some point in their life. Vehicle break downs and accidents are just part of the risk we take when we drive. The truth is vehicle failure can happen at any time and for a number of different reasons. If a vehicle is not maintained well, is more than seven to ten years old, or is constantly subjected to Chicago’s harsh weather, it is liable to break down at any time. There are a few of the services that N.A.R. 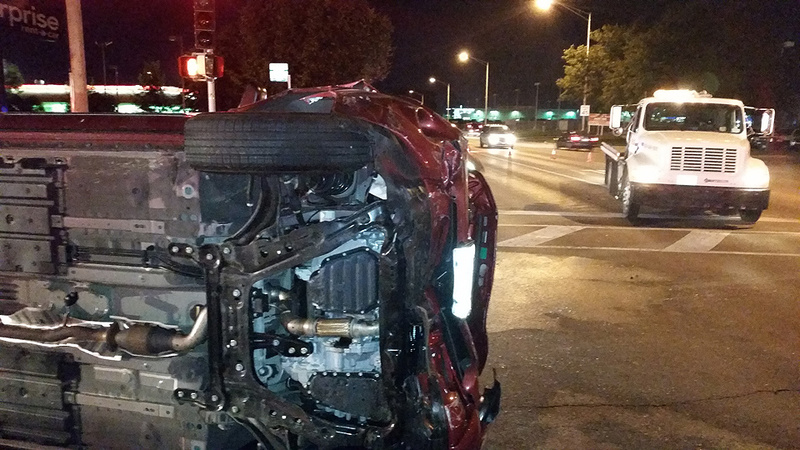 Towing can provided in the Chicago Western Suburbs. In no need of a towing service but require some onsite maintenance in Naperville/Aurora and surrounding cities, we are here to provide for your needs. Whether it be a flat tire, your locked out, your out of gas, your battery is dead, or you have slid into a ditch and need a winch, we will get you back on the road in a safe and timely manner. Walk out to your car only to realize that your keys are not on you and are in fact locked inside your car, we are here to help 24/7 in the Naperville/Aurora and surrounding cities. At N.A.R. 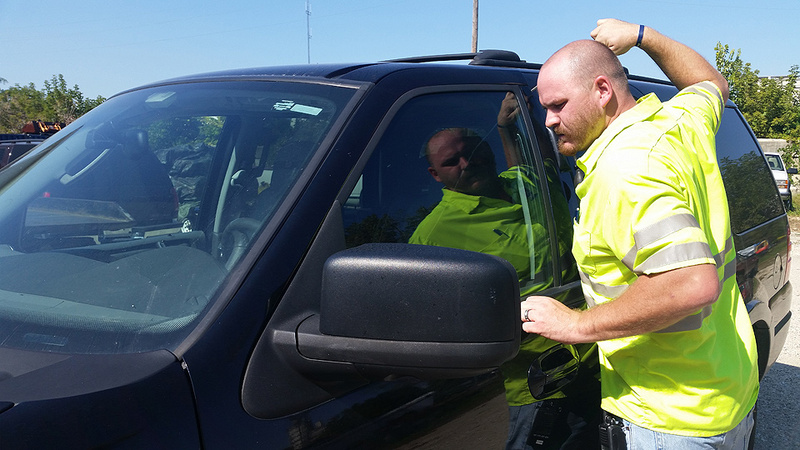 Towing we are experts at damage free lockout service that will allow you to have your keys back in minutes. Stranded at home or at work because your battery is dead due to a light being left on, a door not being shut all the way or it being extremely cold out. We at N.A.R. Towing provide jump-start service 24/7 that will allow you to get on your way in no time in Naperville/Aurora and all surrounding cities. Having drifted off of the road due to rainy or icy conditions and become stuck, DON’T panic! We at N.A.R. Towing, provide expert operators that know how to get you back on the road safely without damaging any part of your vehicle. You can count on us 24/7 in Naperville/Aurora and all surrounding cities. Running late to work or an event or simply just not being near a gas station and all of the sudden your car starts to putter because you have run out of fuel. Don’t be alarmed! N.A.R. 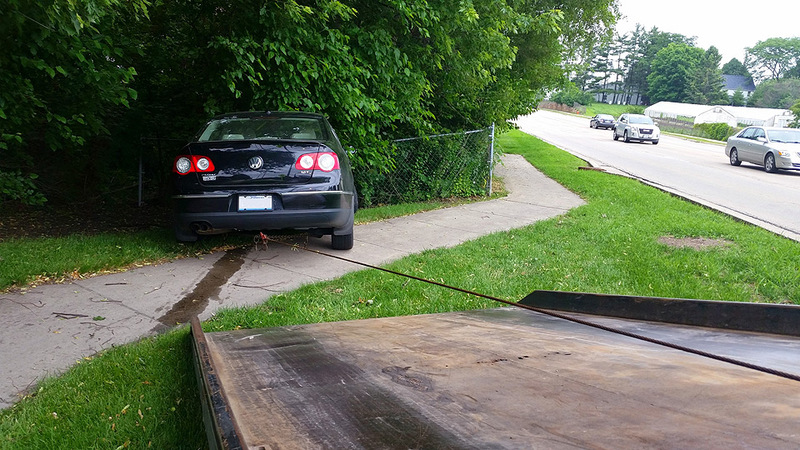 Towing is your fuel delivery service 24/7 in Naperville/Aurora and all surrounding cities. We offer 24-hour flat tire service in Naperville/Aurora and all surrounding cities. If you happen to get a piece of debris in your tire or have a blow out, we will be happy to assist you. 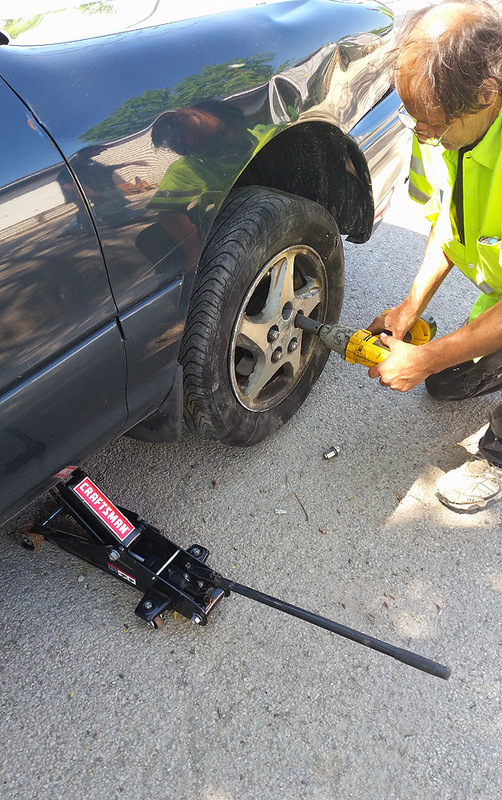 We come prepared with our own jack and impact gun to properly secure your spare tire. In the event that your spare tire has low air pressure, we have an onsite air compressor to make sure it receives the correct psi. Not having the best of luck and your car unexpectedly shuts down or you have been involved in a car crash don’t hesitate to call. We will beat all police initiated rates and will respond promptly. 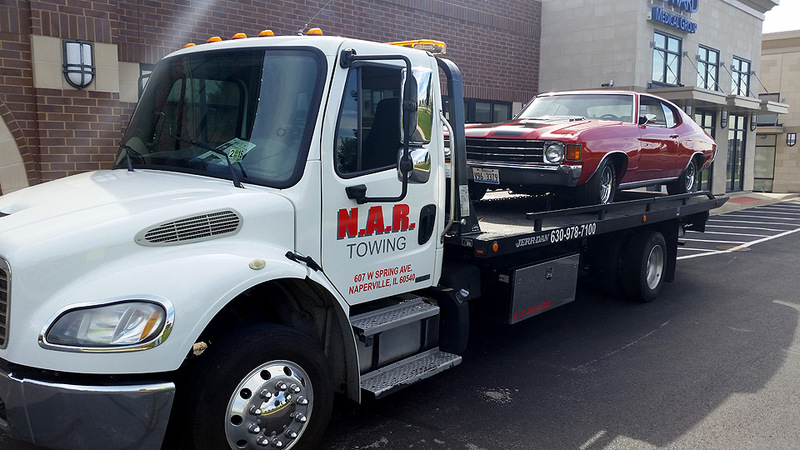 If you are driving a 2-door coupe, sedan, SUV, small truck, or van and are in need of a tow, we at N.A.R. Towing are here to help 24/7 in Naperville/Aurora and all surrounding cities. We offer very affordable rates and assure you will be satisfied with our professional service. Are equipment will match your needs. Providing wrecker service or flat bed service to accommodate any situation you may be in. While driving a work truck daily, it is inevitable that sometime throughout your career, you may encounter vehicle trouble. N.A.R. Towing is here to provide fast and efficient medium duty towing service for your delivery truck, service truck, small box truck or large van. Our services are offered 24/7 in Naperville/Aurora and all surrounding cities. 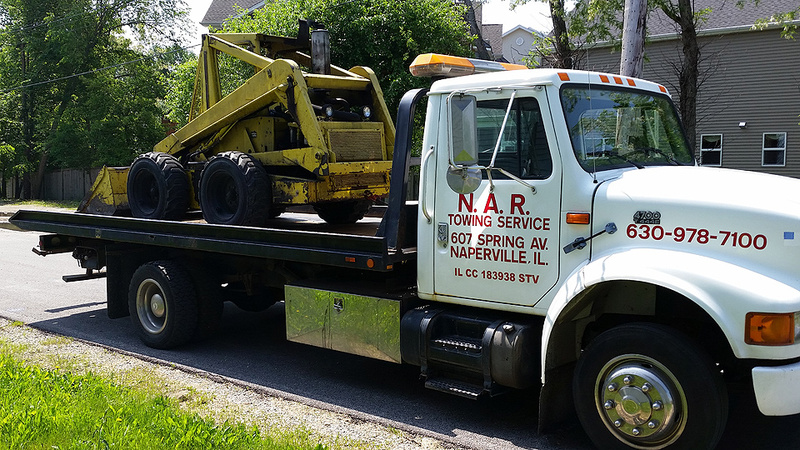 Vehicles such as a large box truck, tractor trailers or even heavy machinery is our expertise at N.A.R. Towing. We provide safe transportation of any heavy-duty vehicle or equipment 24/7 in Naperville/Aurora and all surrounding cities. There are many times when these large vehicles will drift off of the road and will need to be winched out or rolled over and towed. We promise to provide professional service to satisfy each company at a competitive rate. If you have been involved in an accident we will be happy to respond promptly. We at N.A.R. 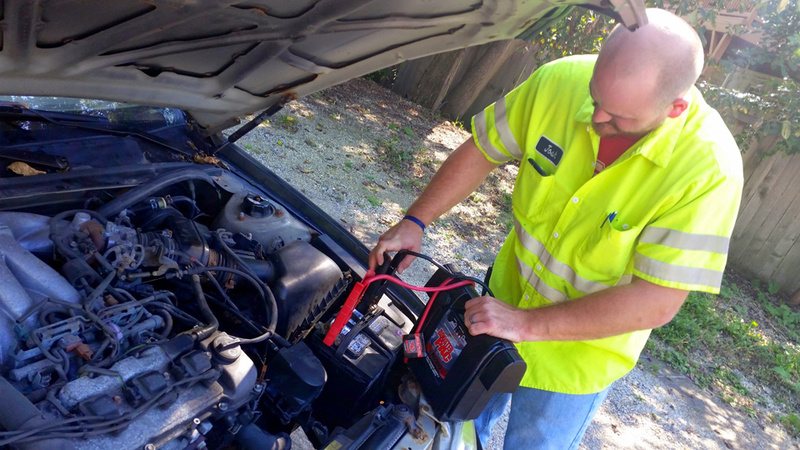 Towing understand the importance of your safety and YOUR Emergency is OUR Emergency. It is your choice to call for your own tow when you are involved in a collision. 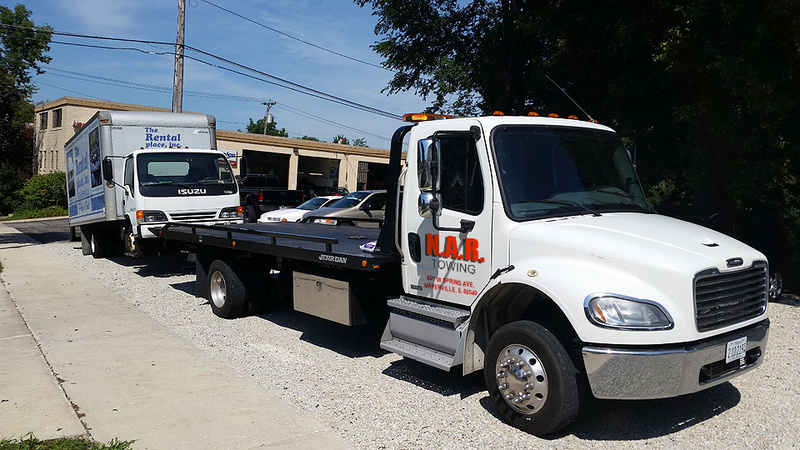 We GUARANTEE to respond in a 20-minute response time in order for you and your insurance company to avoid any police initiated towing rates. This will not only make you happy but your insurance company will be ecstatic. With N.A.R. Towing employers owning their own motorcycles, they realize the importance of taking care of them. If you are stranded on the side of the road or in your garage, N.A.R. Towing are experts on safely transporting any type of motorcycle. We are equipped with the proper tie downs that will leave you stress free. 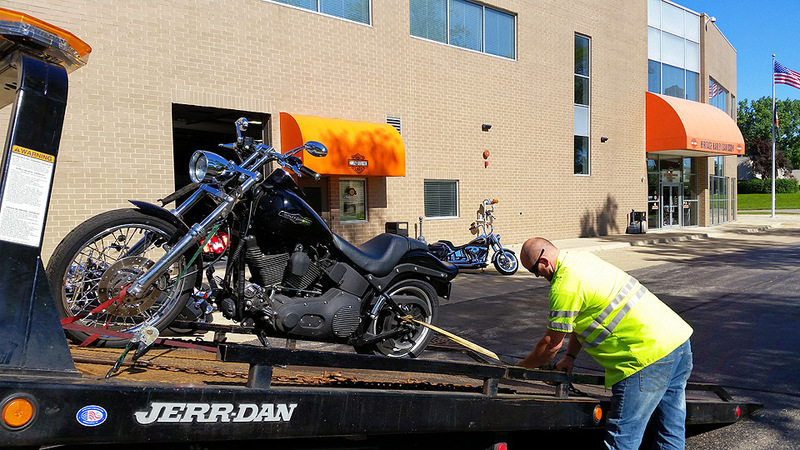 Our towing service for motorcycles is available 24/7 in Naperville/Aurora and all surrounding cities. 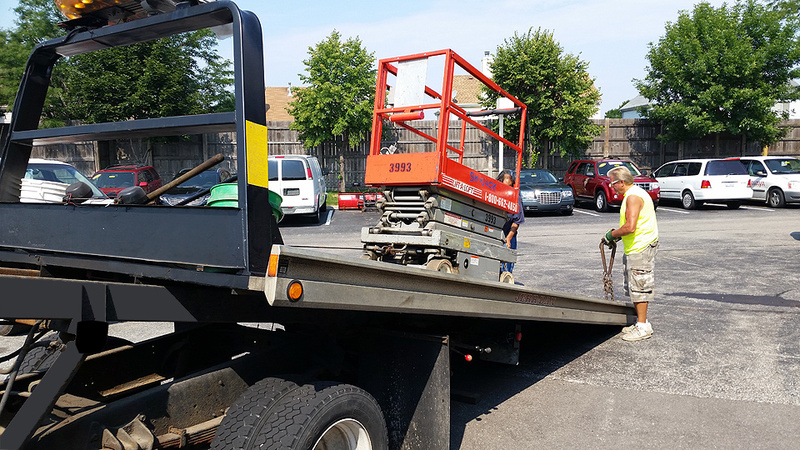 Specialty Towing includes Towing Toolboxes, Towing Scissor Lifts, Machinery and Work Equipment. Moving from your garage to a service center or a service center back to your garage, we are ready to accommodate your needs. N.A.R. 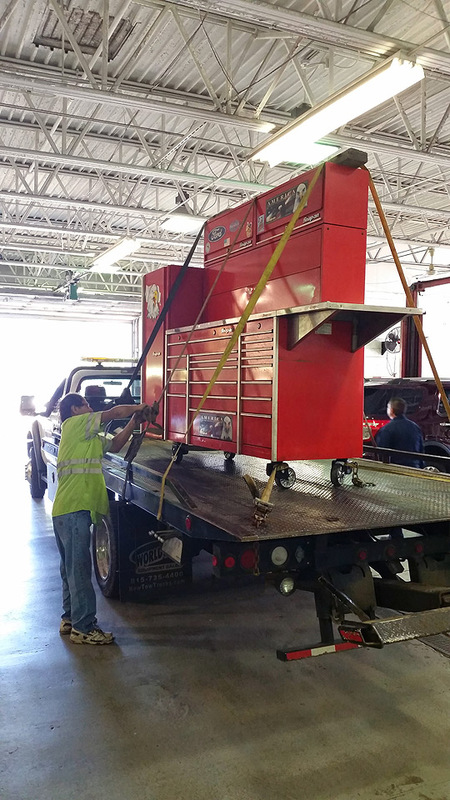 Towing is properly equipped to handle any size or weight of a toolbox for transportation. Appointments are recommended but last minute decisions are also accepted. Our hours of transporting toolboxes do vary and we service Naperville/Aurora and all surrounding cities. Needing to fix a light or just simply something that is out of reach, we are able to transport scissor lifts to accommodate your needs. Rates and times vary so please call ahead. We service Naperville/Aurora and all surrounding cities. Needing to transport any type of large machinery/equipment such as forklifts, or bobcats and many others, please call us today. We will schedule a time to transport whatever it is you need in order to accommodate your needs around your business or out on the road and in the work place. N.A.R. Towing is equipped with the proper air ride; roll back trucks that would safely and securely transport any kind of classic and exotic car. We securely tie down all of these without the use of chains and in place use 4-point nylon straps to secure your vehicle to the truck. Our availability for towing classic and exotic cars is 24/7 in Naperville/Aurora and all surrounding cities. With or without a title as long as you have proper paperwork, we will buy you junk vehicle and pay you CASH. 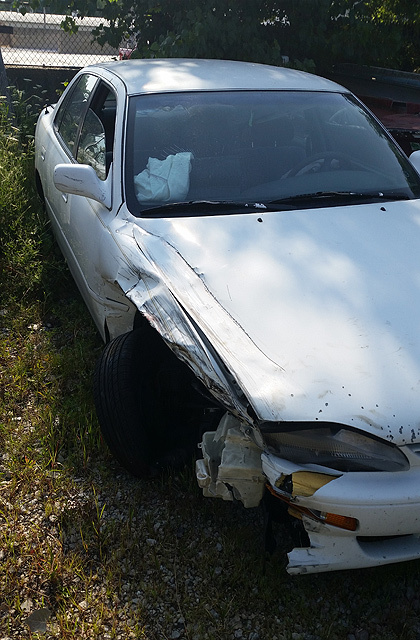 We buy many junk vehicles from Naperville/Aurora and surrounding cites. N.A.R. 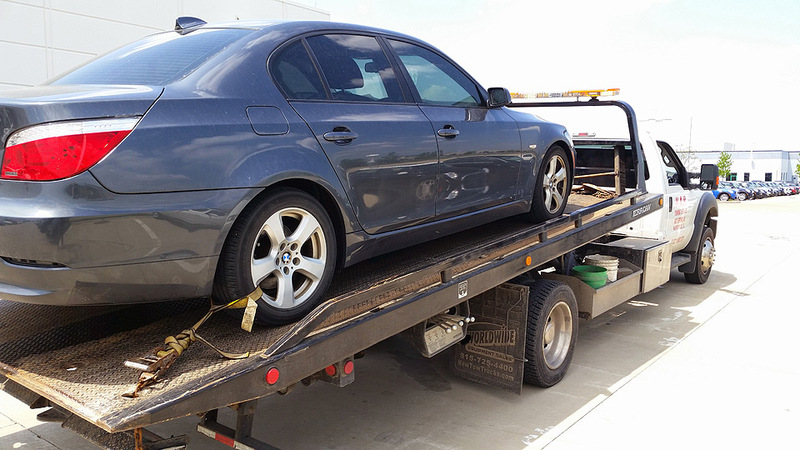 Towing will come pick up your vehicle and tow it away the same day for NO ADDITIONAL cost making sure you are rewarded with the top dollar price. Please call if you have a junk car that you are looking to get rid of. Not only do we store vehicles that are impounded for the municipalities that we tow for, but also for the everyday person that doesn’t seem to have the storage space to accommodate for their extras. We have outside storage available for cars, trucks, box trucks, storage containers, boats, campers, rv’s, materials, and machinery. Please call for your low cost storage rate today whether it be a short term or long term deal. More than just reliable tow service.